These parts are very simple to use and not expensive (it costs about 9.5 dollars).This is a minimal set which must be a holder of any air compressor. 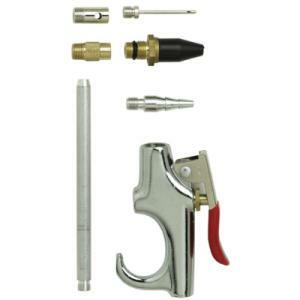 an OSHA style blow gun. They are used for drying wet surfaces, cleaning debris from the workplace, blowing balloons and any creative job to put it.